This is a square curved Bread Winner porcelain sign. This particular Bread Winner sign is predominantly blue with red and white text. 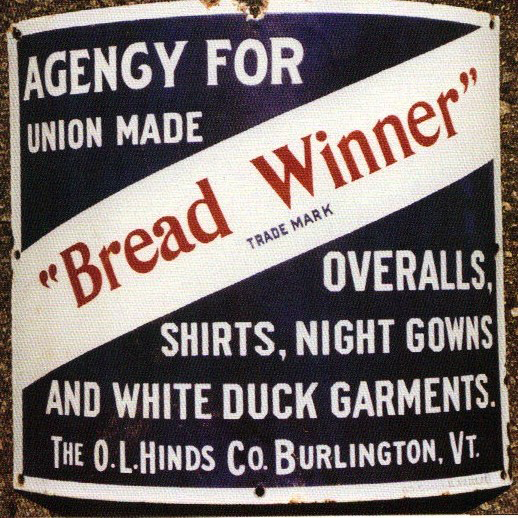 It reads, “Agency for Union Made Bread Winner Overalls, Shirts, Night Gowns, and White Duck Garments, The O.L. Hinds Co., Burlington, VT., Trade Mark” and has no other design.